My very last post was about bananas and I wrote it about 3 months ago. Well it took 3 months from Bell to Banana – which means many people have been LYING to me: the Paid Gardener, our wonderful dentist’s husband, and Grandpa. They said bananas come in 2 kinds – 45-day and 60-day. 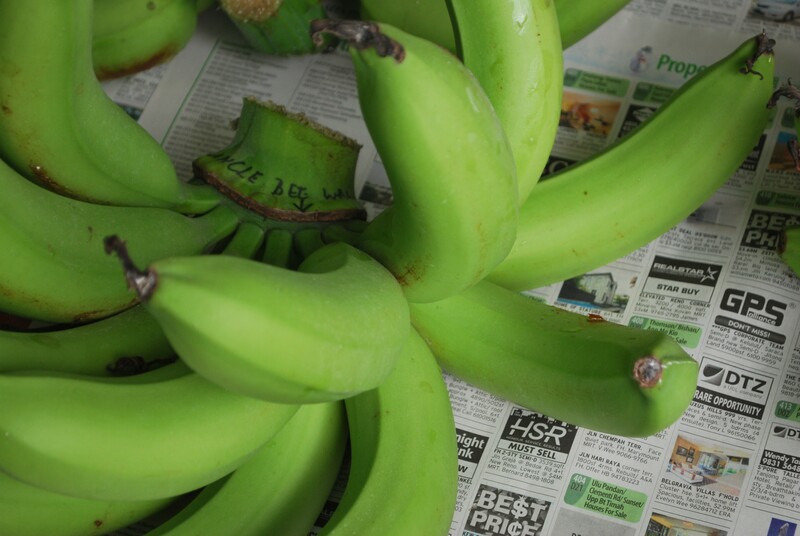 Mine, they claimed, are 60-day bananas – except they are 90-day bananas. 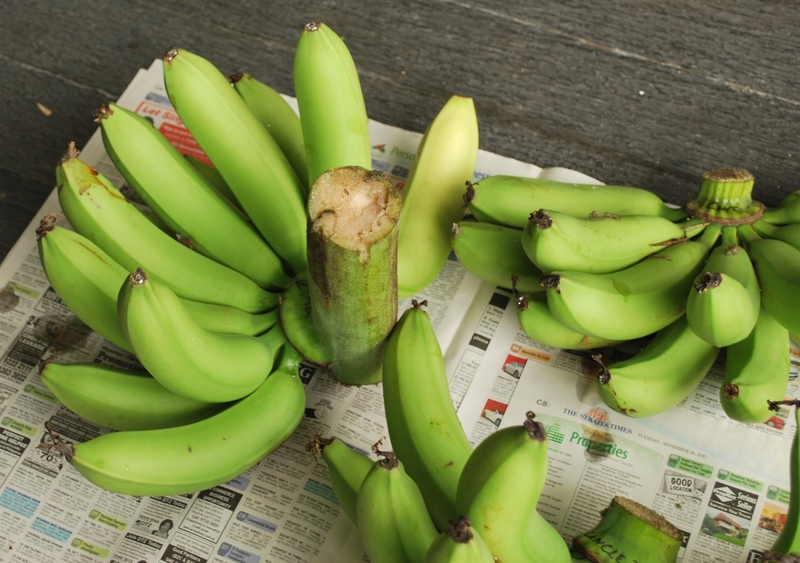 When the signal banana is more or less totally yellow, the whole stem of bananas is ready for picking! We have been arguing at home about what the collective noun is for bananas. 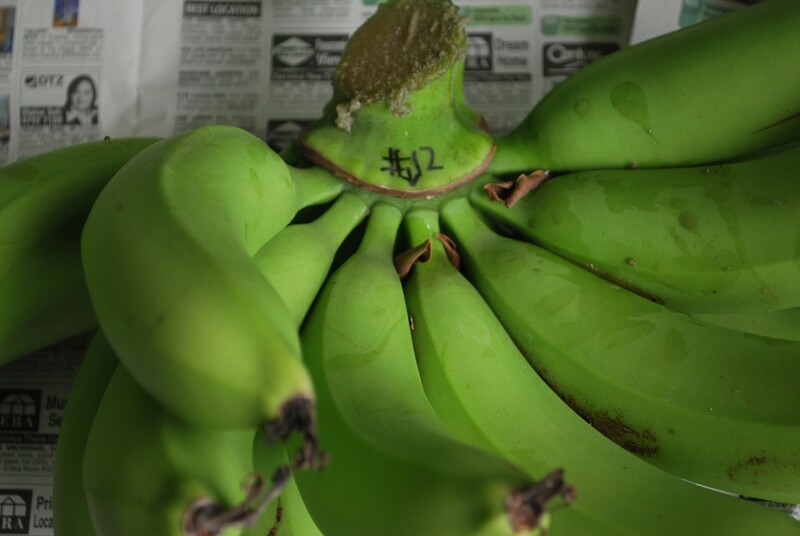 Seems like the correct word for the “bunch” of bananas you can buy from Kevin our fruit man is “hand”. 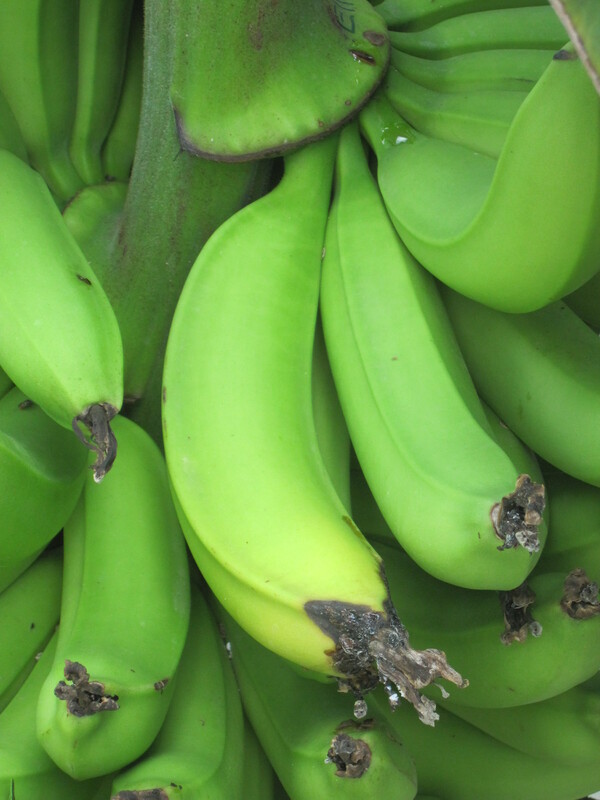 “Bunch” or “comb” refers to the whole stem of bananas you see in the photo above! These bananas look bigger than our first bunch. I think my by-products are getting more nutritious! Oh one thing I did not write about before is this. 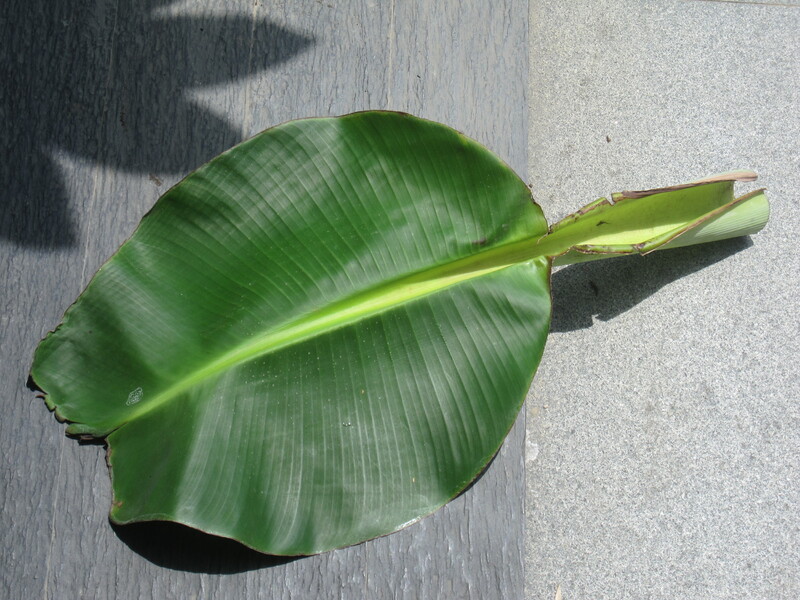 Just like the signal banana signals that the bunch is ready for harvest, the banana tree puts out a special leaf, called a spade leaf, just before the banana bell emerges. See? I call a spade a spade, hahahahaha!!! Today is a Very Important Day. One of our bananas turned a pale, delicate, yellow. 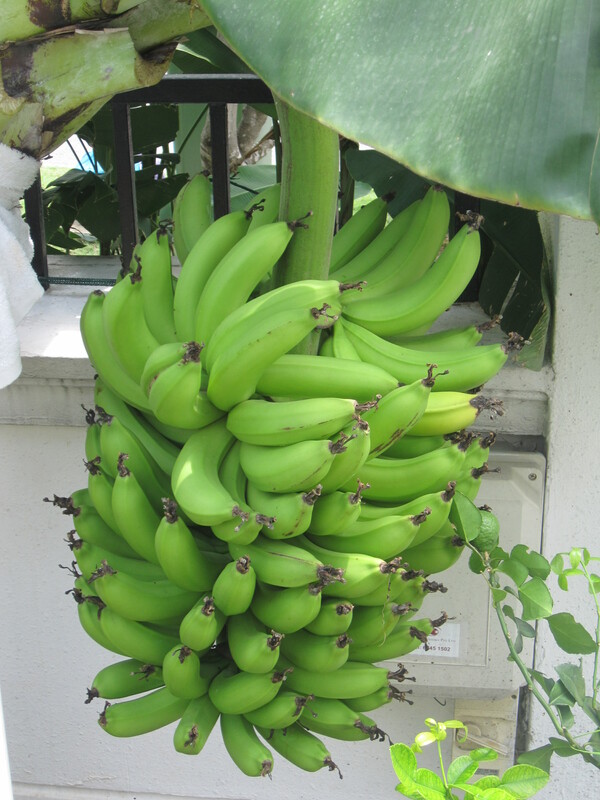 Grandpa’s rule is as long as ONE banana turns yellow, the whole bunch is ready. So the Paid Gardener came and cut off the entire bunch! We got 8 hands from it. The total weight was just about 15kg, but the Paid Gardener said something was wrong with our scales because he thought it weighed at least 20kg. He claimed he was an experienced banana man. I labelled almost every single hand with a recipient’s name. The biggest is Godma’s, and it was almost 3kg! See the yellow banana on the right? That was our signal banana. Just so you can admire more bananas, the next biggest hand is for my Pediatrician’s husband. He only eats bananas. I mean, the only fruit he eats is banana. Then next on the bunch came our kind neighbour’s bananas. See? It says #12. We are at #10. Like Downing Street, you know. This was a GOOD JOB WELL DONE!! 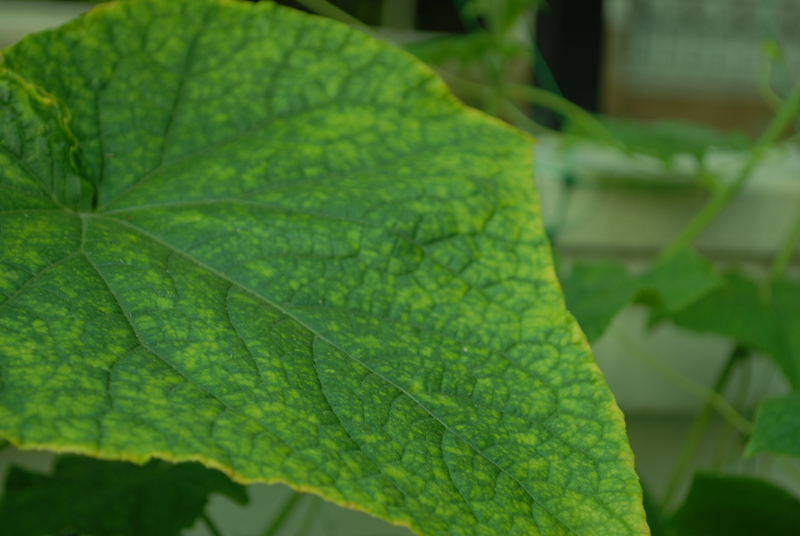 My cucumber that the Paid Gardener got for me have had their ups, and their downs, then their ups and downs, then their ups, then their upper ups, and now they are down with powdery mildew. 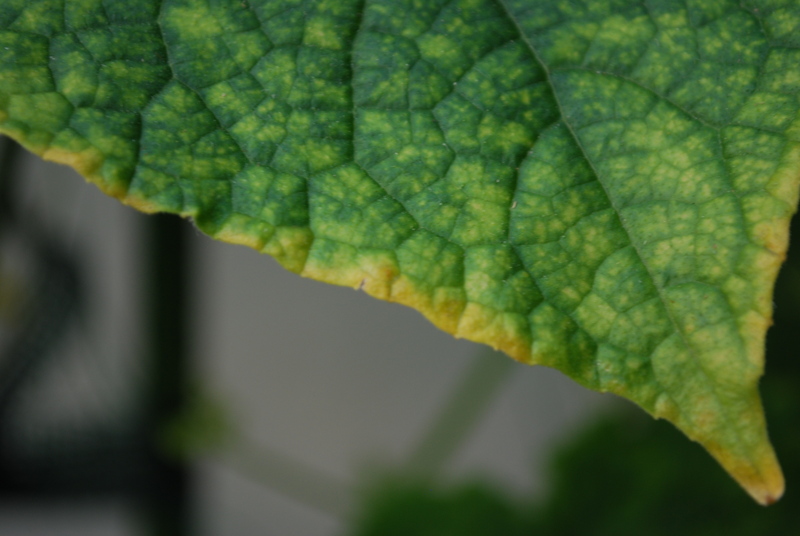 But I enjoyed taking the artistic shots anyway. Do you know the song Ho-ho-ho-ho-hosanna? We sing it at Sunday School a lot. 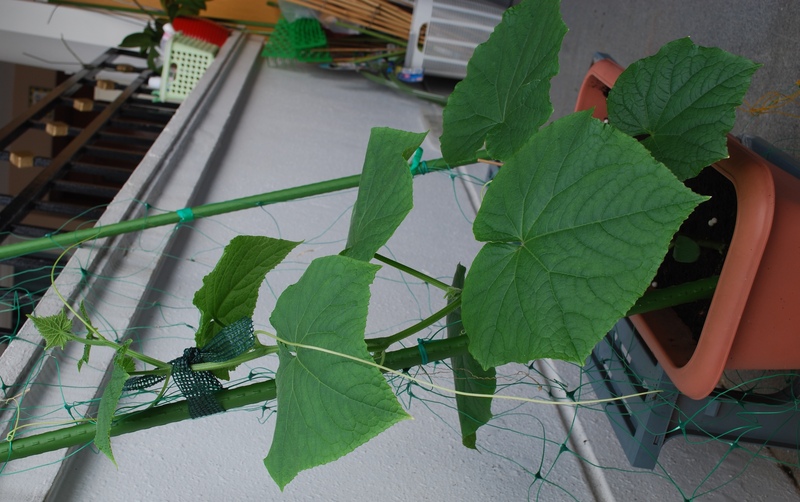 Anyway, my poor cucumbers from the Paid Gardener, which collapsed TWICE not just once, are now doing ok. Fingers crossed. 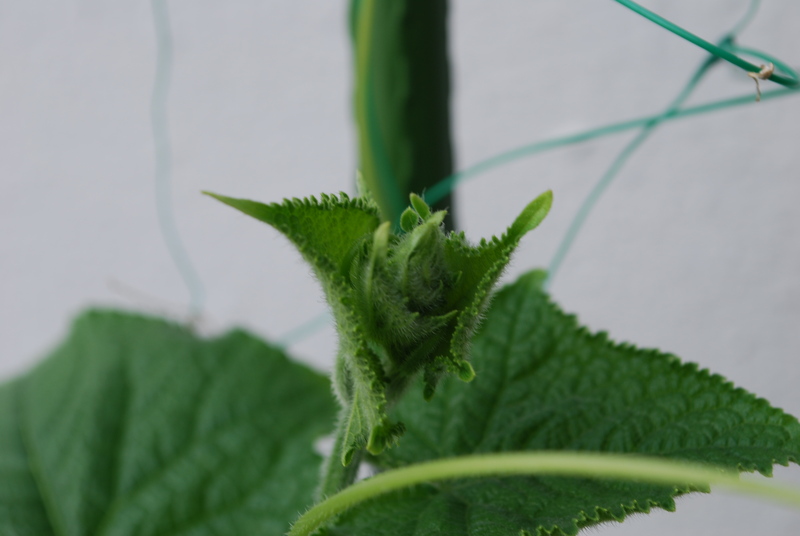 It is now growing very fat tendrils and plenty of new furly leaves. See? 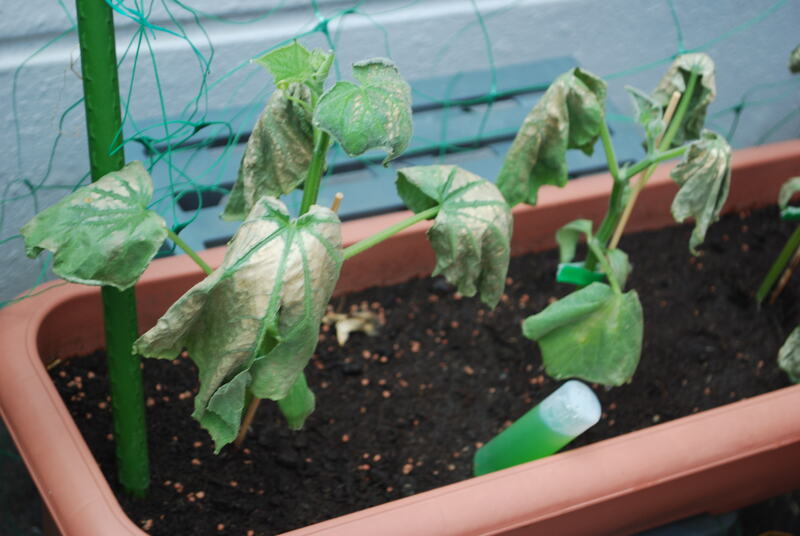 Remember I complained our thick-stemmed fast-growing cucumber, from the Paid Gardener, collapsed on us? It’s done it again. 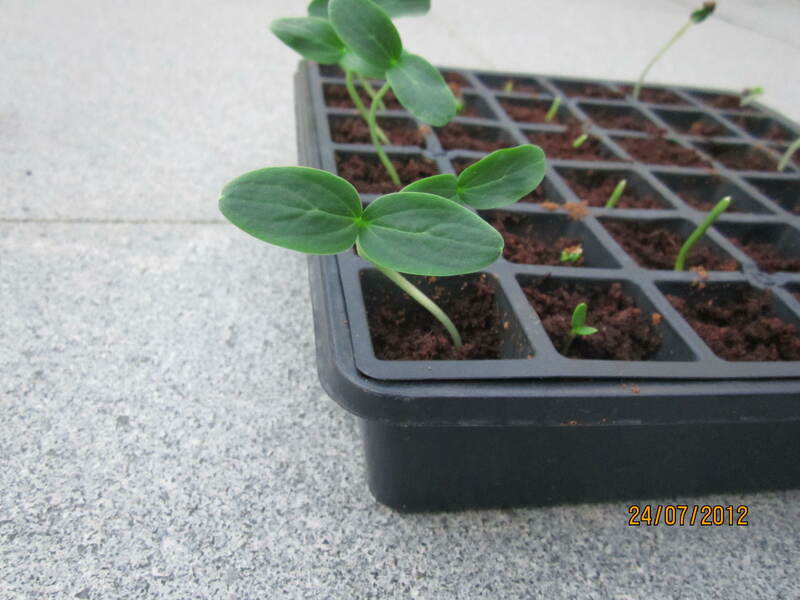 We germinated 3 more seedlings when the first lot collapsed. All went well until today when 2 of the 3 flopped over! 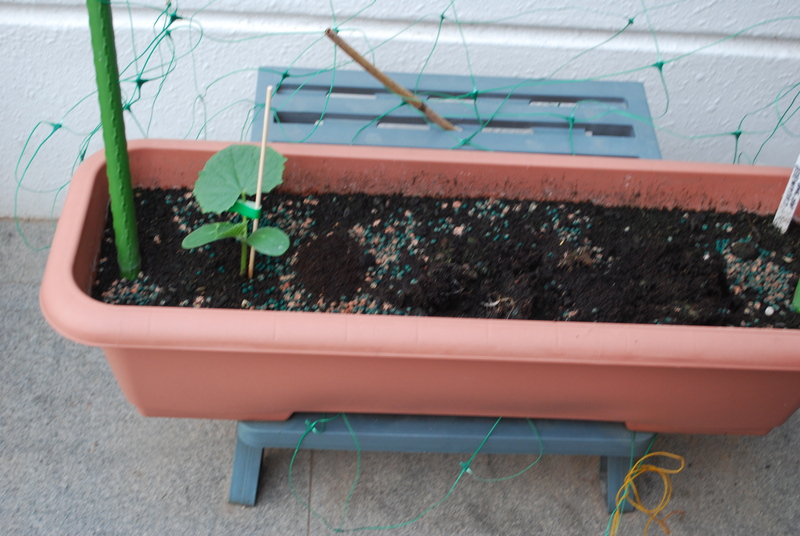 But don’t worry, we have lots of cucumber seeds, and Mummy says we will keep trying til we suc-seed. Get it??!! 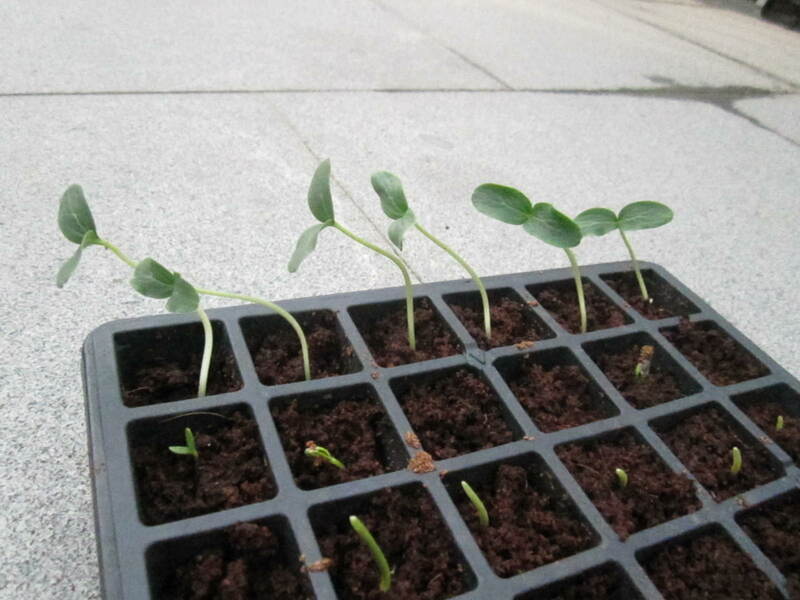 Remember my excellent cucumber seedlings from the Paid Gardener’s cucumber seeds? I’m not sure what happened, but don’t they look sad? Grandpa says he does not think they will survive.